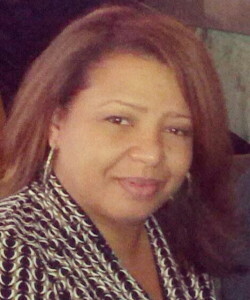 While in Birmingham, we had the honor of attending an engagement party for my niece, Angela and her fiance Nik. Not just any celebration, it was held at Birmingham’s famous The Club! The Club, situated high atop Red Mountain, is known as much for it’s beautiful views of Birmingham as it is for it’s delicious food and service. Hosted by Nik’s lovely grandmother, Evelyn, we gathered in the Gold Room for pre-dinner cocktails. We were then led to a private dining area and dinner was served. The fabulous meal was started with Shrimp & Corn Chowder and ended with Tiramisu. Everything in between was equally delicious, including The Club’s popular orange rolls. 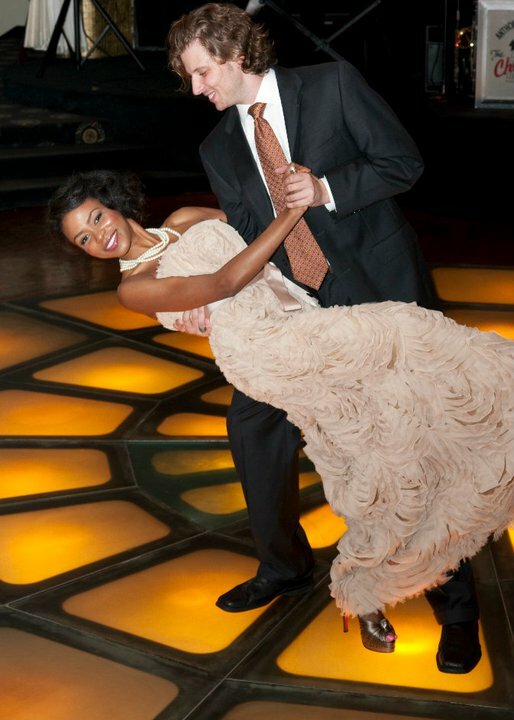 Dinner gave way to dancing and at the end of the event, my mind was still on the Shrimp & Corn Chowder. Every spoonful, I mean EVERY SPOONFUL, had big chunks of shrimp! Unable to get it out of my mind, I searched for a recipe through The Club but no such luck. I decided to make it from my memory of it’s taste. 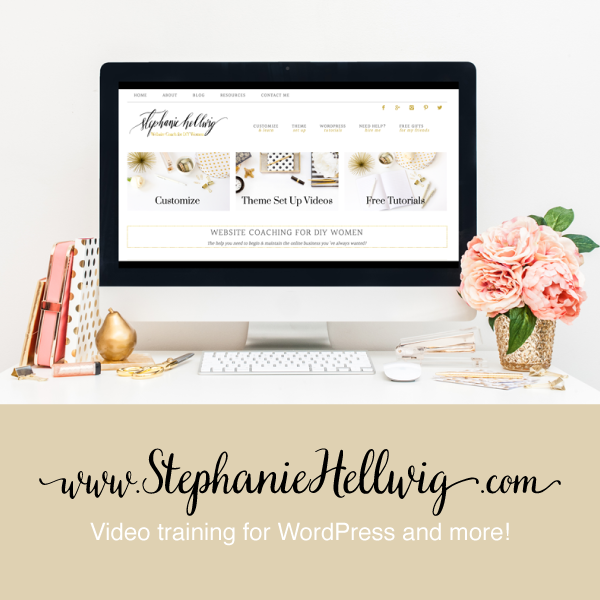 I am so patting myself on the back, cause its good…REAL GOOD! Season the shrimp before steaming. After steaming, use shells & particles for stock. Butter, olive oil, cornstarch, seasoning, grated onion, and shrimp stock begin the base of this chowder. 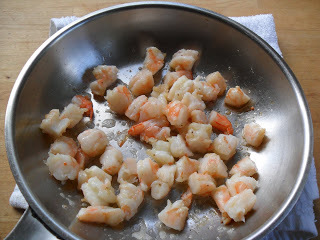 When all is done, saute the cooked/chopped shrimp in butter before adding to chowder. Top with chives and serve with crusty bread. 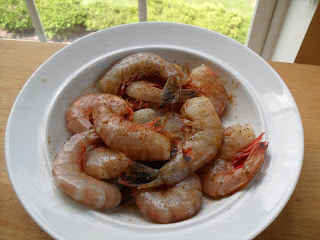 When you read this recipe, you’ll find that I used both Old Bay and Chef Paul’s seasonings. You might be saying, “I’ll just use Old Bay…Why use 2 different seafood seasonings?” I say, Old Bay has it’s uses but, can be overpowering. If I wanted to use just one, it would be Chef Paul’s. You can always add seasoning to your taste but, you cannot remove seasoning once it’s added. Also, I strained my base before adding the corn. This is not necessary, I was going for the “look” that The Club presented. I actually liked the rustic texture that leaving the grated cooked onion gave. 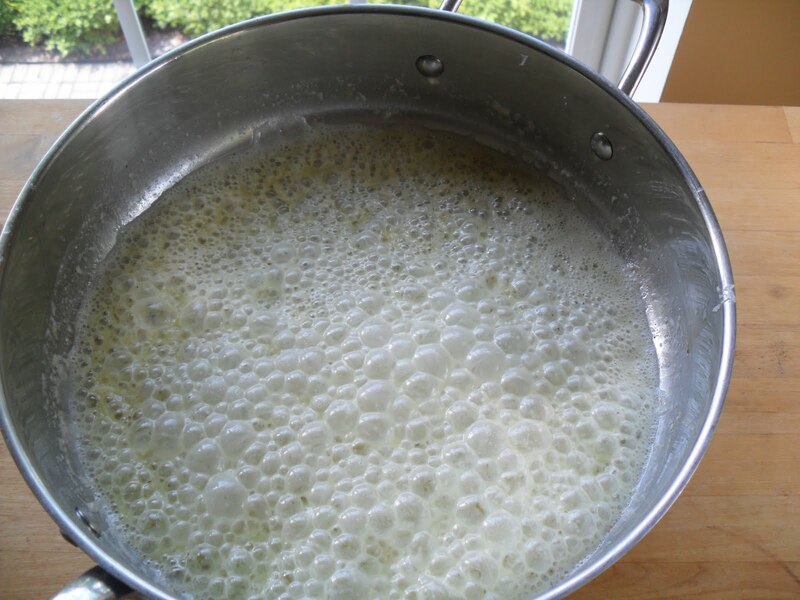 *Prepare corn: Heat 1 cup of water and 1 tablespoon of butter in a saucepan until boiling. Add frozen corn and allow to return to a boil. Cover, reduce heat to low, and cook for 20 minutes. Drain and set aside until ready to use. Rinse shrimp and toss with Old Bay Seasoning. Boil water and steam shrimp covered for 4 minutes, turning once after 2 minutes. Remove shrimp from heat to a bowl of ice. Reserve water used for steaming. When shrimp are cool enough to handle, remove shells and devein. Transfer shells and particles to the reserved water. Add celery and 1/2 of the onion. Heat on medium heat until boiling. Cover and reduce heat, allowing to simmer for 15 minutes. Strain, reserving the stock. Roughly chop shrimp and set aside until ready to use. Grate remaining 1/2 onion and add to a large saucepan with 4 tablespoons of butter and extra virgin olive oil. Heat on medium heat, stirring occasionally until onion has softened, about 7 minutes. Stir in cornstarch and seafood seasoning until no lumps appear and mixture is bubbly. Add 2 cups of stock, stirring until mixture thickens and begins to boil. Reduce heat and add Sherry or Marsala Wine. When mixture returns to a simmer, add half & half. Stirring constantly, allow mixture to return to a simmer. At this point, you can strain the mixture for a “finer” looking dish or leave as is for a rustic appearance. I opted to strain but, next time I’ll leave it rustic. Add prepared corn and allow mixture to heat through. Taste, add salt if needed. In a skillet, heat remaining tablespoon of butter until melted. Add chopped shrimp and saute until heated through. 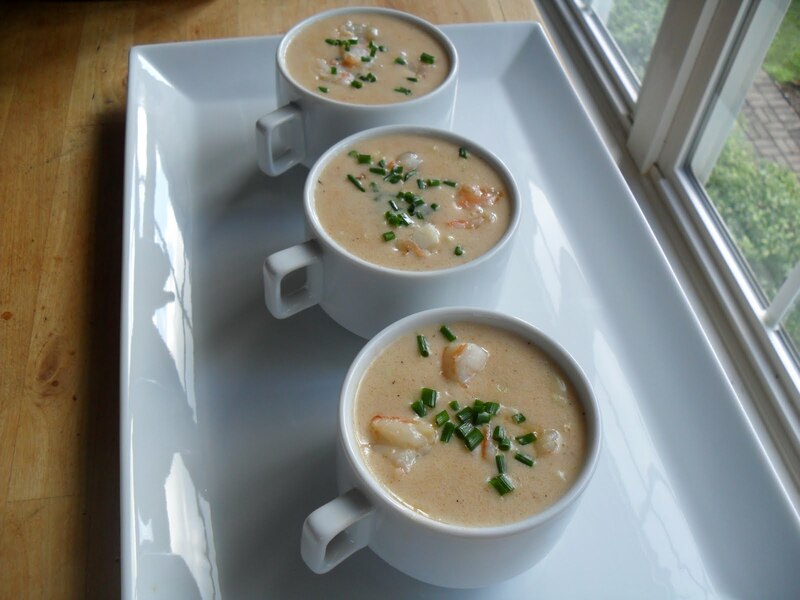 Divide chowder among bowls, add a mound of shrimp to each bowl and top with snipped chives. « Dorothy Was Right…There’s No Place Like Home! This sounds so good! Her dress is fabulous! Yum… your chowder looks nice and hearty! Love your niece’s dress! Great write-up, Shawn. This recipe may well become a family classic! Love to you and your family. 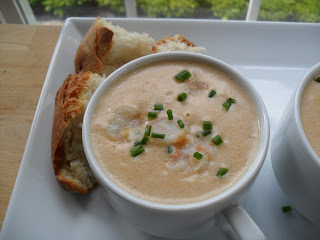 What a delicious creamy chowder!!! I never had chowders that have shrimp in it. I would love that! Your niece looks beautiful and I have to say… that dress is really gorgeious! I cannot wait to try this recipe! And your niece is stunning.